Out of the blue - the brand new free simple template right here, right for you. Name of the template is 'Bryce Sunrise'. Our free simple templates are usually an outstanding option for setting up blog web site or a site for content oriented online business. We, the editors, analyze the free templates before we include it to our collection to ensure we offer only the highest quality web designs. Oh well, now tell me - why bother? Free suggests inferior quality, right? Are free clean style templates worth anything? 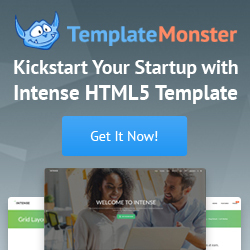 Definitely, virtually all of our free templates are quite similar to the premium templates in the terms of quality. Each time a free website template is developed by a experienced designer it is of high quality simply because no expert would choose to destroy his/her name by providing low quality designs. You can find millions of them out there on the internet, not all are good, but nonetheless you can find at least a couple of free web templates appropriate for your website topic and requirements. Lot's of folks (or even all of them?) have a passion for freebies. And that is due to the fact that free doesn't necessarily imply low quality. Have a look yourself - does this attractive template seem as if its 'bad quality'? I can reassure you - it's not bad, on the contrary - it's a sample of one of the best free web designs available out there. Our team are here to make certain you find the free simple template that will fit your web based venture best of all. Only the best clean style templates at Website Templates Online.com.